KoKoLoReS: New Year, new stuff! 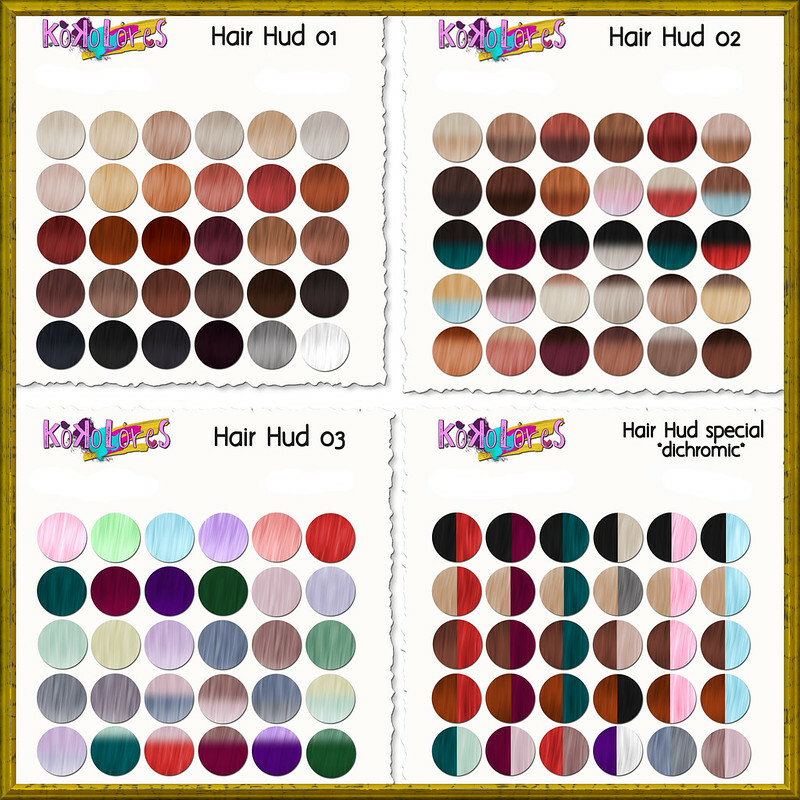 KoKoLoReS starts the new year off with all new hair textures and huds! Each hud now has 30 colours to choose from. They are all soft and shiny, hope you like them! Not every hud will always be available for every hair, it will depend on the hairstyle. What’s more, all KoKoLoReS hair will from now on be ~copy/mod/no trans~, be it rigged or unrigged. This will give you the opportunity to tint the hair should you like to do so. Please always make a copy though first, I’m not responsible for Second Life glitches!